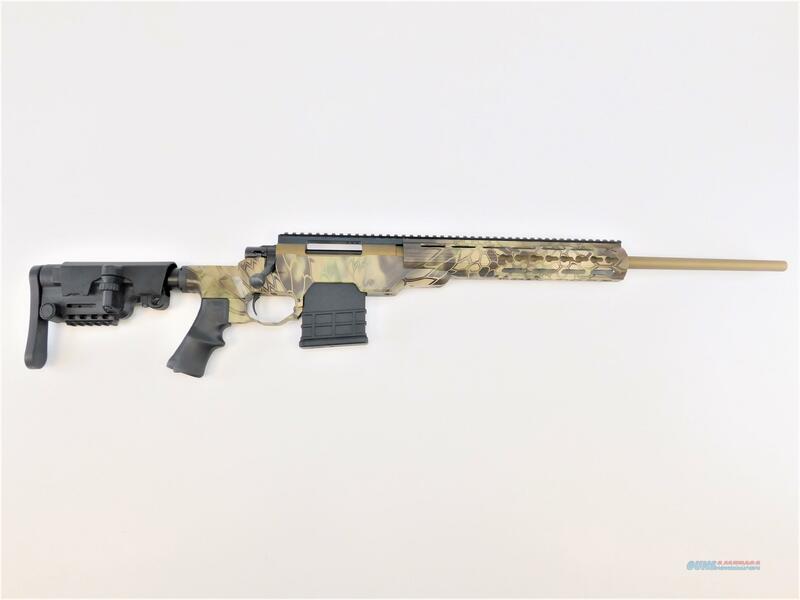 American Built Arms has combined a smooth and accurate Howa 1500 barreled action with their own Mod X Gen III Modular Rifle System and synthetic Urban Sniper Stock to create the Howa Precision Rifle. The aluminum chassis provides a rock solid foundation for the action, and the barrel is free floated within a 11.5" modular forearm with three rows of KeyMod attachment points. A Mil-Std 1913 Picatinny rail provides plenty of space for mounting optics. The stock is fully adjustable.